The ugly Christmas sweater trend is getting a creative twist. 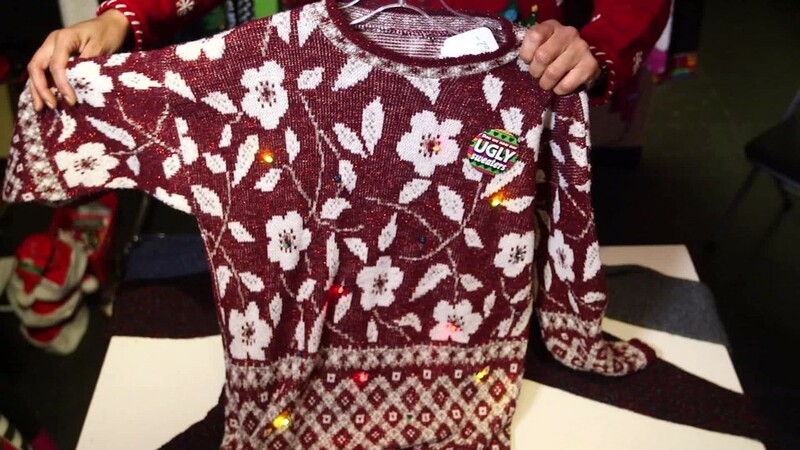 UglyChristmasSweater.com -- which sold $5 million worth of intentionally hideous holiday sweaters last year -- is known for its unique designs. You'll find everything from a sweater with a stuffed moose popping out of the chest to cardigans featuring hanging LED light ornaments. But now, for the first time since its 2012 launch, the Detroit-based business is letting people create their own designs. You'll never again show up to a ugly sweater party wearing the same thing as someone else. The company recently rolled out a "create-your-own-sweater" tool on its site. Here's how it works: First you'll need to click on the tool to receive the basic sweater template, which features five colors and kitschy holiday-inspired background patterns, such as like reindeers and snowflakes. 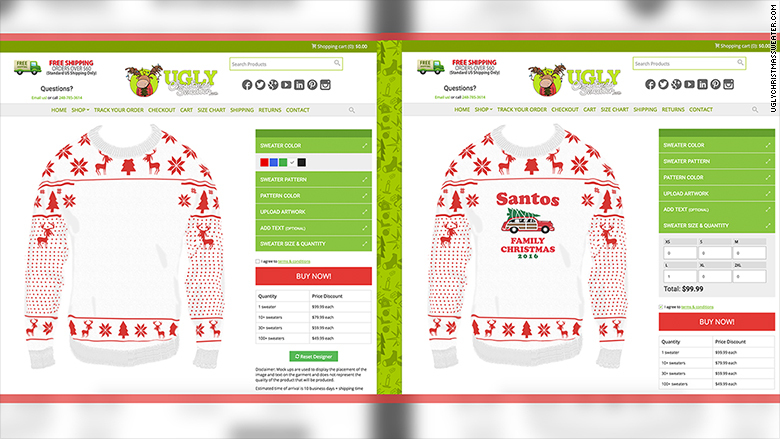 You can upload your own design to be knitted into an ugly Christmas sweater. Next, you'll want to upload a photo, logo or hand drawn sketch to the platform. It's also possible to add text, although it's limited to seven characters. After picking your size and the quantity you want, the order request goes directly to a factory in China. It'll ship 10 days later. Customization isn't cheap: One sweater costs $99.99. Orders of one will be knitted by hand. Fred Hajjar, cofounder of UglyChristmasSweater.com, said the new feature is necessary for the business. 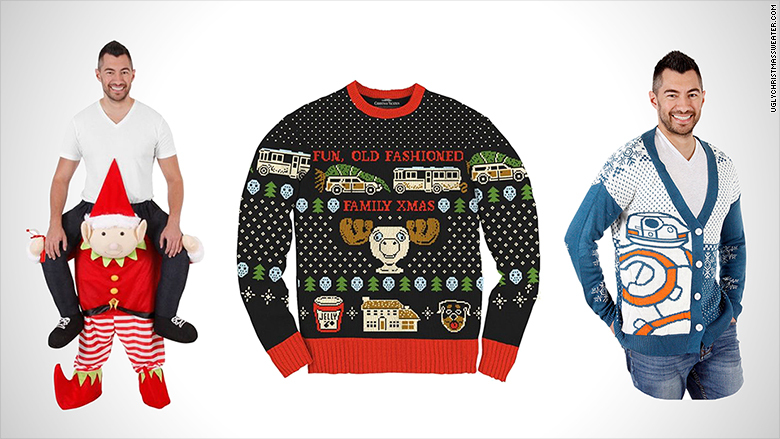 Some of this year's ugly sweaters from UglyChristmasSweater.com. "Because the ugly [holiday] sweater trend has become much more mainstream, we're competing with mass retailers like Macy's (M), J.C. Penney (JCP) and Wal-Mart (WMT)," said Hajjar. "We had to continue to differentiate ourselves." But it appears UglyChristmasSweater.com is the first to offer custom-design options. Although the online tool took three months to build, the manufacturing side of the project is more than a year in the making. "Typically, only five or six colors are used in automated knitting, so we have to convert an image with multiples colors down to [much less]," Hajjar said. Language and cultural barriers posed a problem, too. "We have to make sure the factories in China correctly understand the text sent with images," said Hajjar. 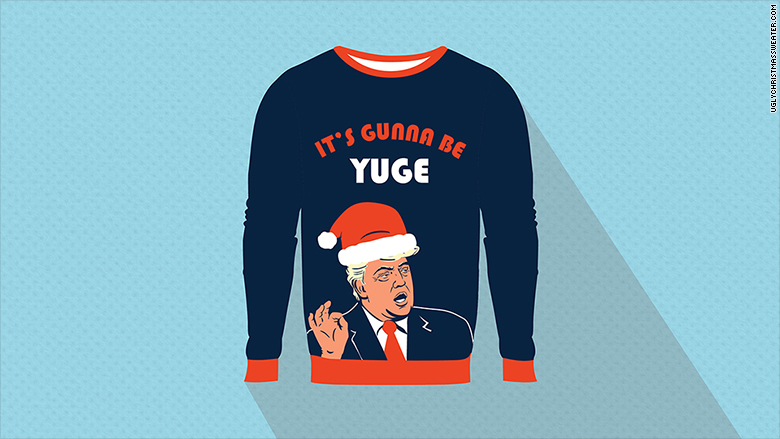 UglyChristmasSweater.com will start selling this new Trump-themed option on Dec. 5. With that in mind, his team carefully inspects each design for accuracy and to reject inappropriate material before it is shipped. The customization feature is already getting attention: Uber, Lyft, Spotify and Ellen DeGeneres' show have ordered custom sweaters. The company hopes to expand the tool next year, such as allowing users to add glitter or other ornaments. In the meantime, it plans to capitalize on the new President-Elect. "We have designed Trump-themed ugly sweaters for the holidays, too," said Hajjar. Those designs will be available starting December 5.